NOTE: These cards only reflect the cards readily available in the game. Best of bunt cards with 5 copies are too scarce to value and will likely never hit the open market. 1. 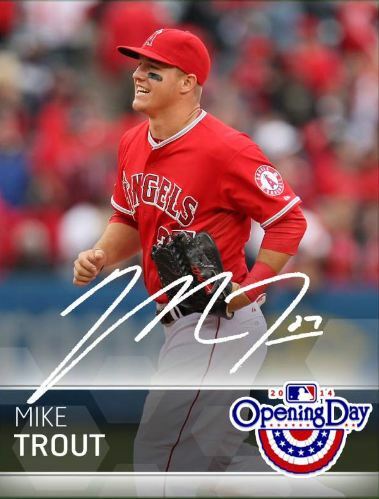 SR Mike Trout Signature Series (100) – 4 star playability – high scoring batter with a rarity that makes this incredibly valuable. He is also the spokesman for the game. 2. 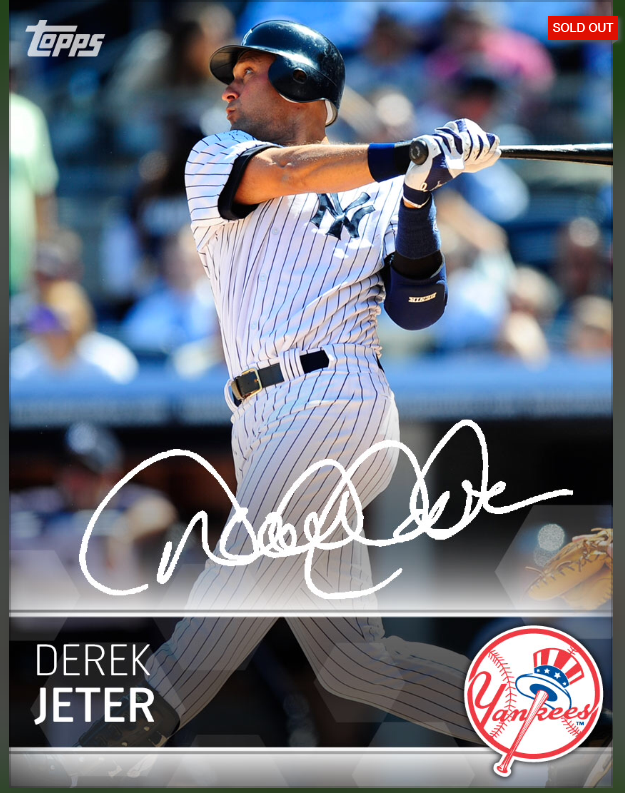 SR Derek Jeter Signature Series (100) – 2 star playability – lower scoring batter with a very high degree of rarity. Lots of collectors on the app are Yankee fans, which will help it stay valuable in his retirement year. 3. SR Justin Verlander Signature Series (250) – 5 star playability – high scoring pitcher, and a new sig will always push this card up the list. Not as rare as the others, but still valuable. 4. 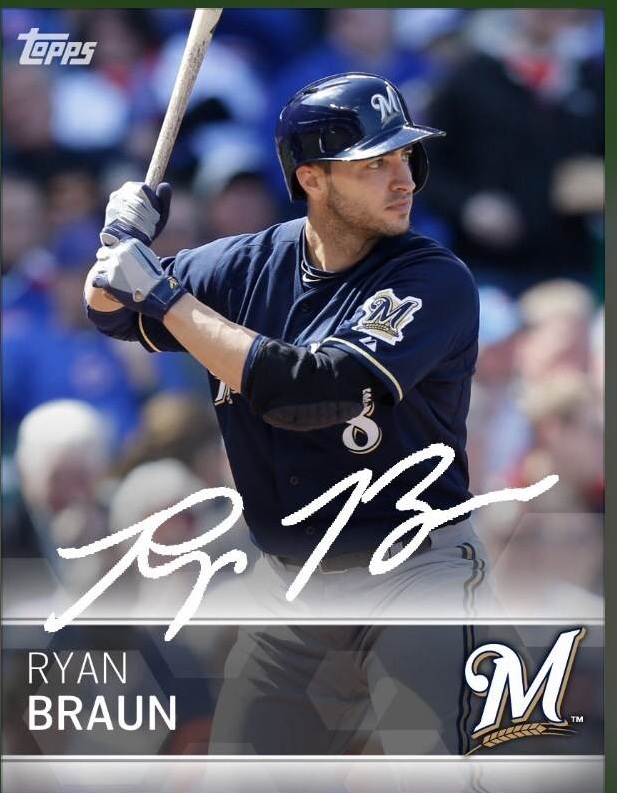 SR Ryan Braun Signature Series (350) – 3 star playability – these signature series cards are going to continue being valuable to the point where it may not be worth including them on the list. 5. SR Andrew McCutchen Signature Series (500) – 3 star playability – slow start to the season has hurt this card’s playability. But as a signature, it will still be valuable. 6. 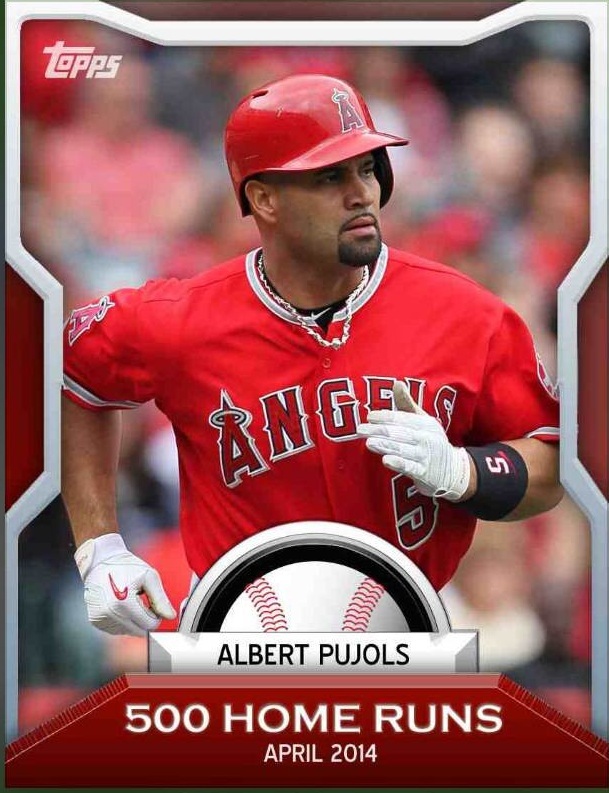 SR Albert Pujols 500 HR commemorative card – 3 star playability – I am a huge fan of this card and think it looks pretty freaking cool. Nothing like history in action. 7. SR Stephen Strasburg Mystery Card (76) – 4 star playability – A rare pitcher that also has no other cards in the game and only a few copies. HOT. 8. 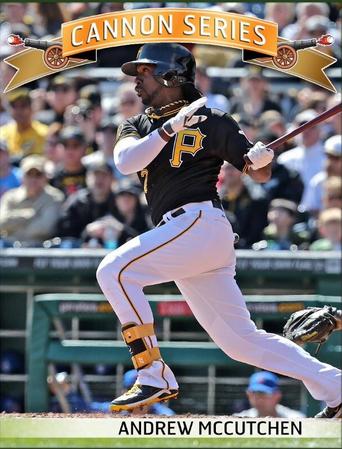 SR Andrew McCutchen Cannons (0) – 3 star playability – Of all the Cannons cards, this one is the best, even though it features him batting. Full bleed design with no border looks awesome. 8. SCR Nick Swisher Signature Series (396) – 1 star playability – This card makes the list because its a sig, nothing more nothing less. 10. David Wright LE 3x Black (250) – 4 star playability – This card has been on the rise recently, as more people realize it is a pretty playable card. Im not a huge fan of the look, but I think it will be one of the rarer cards around. Not being in packs helps. 1. Saber Stars – As much as I love the look of these cards, everyone has the best of the set. I have seen them go for little to nothing, which is a shame. 2. Hitters in general – I have been stockpiling some of the better boost cards of top hitters just in case, but they have really lost value over the last few weeks due to the points scoring. 1. Best of Bunt – Obviously, not many people are going to have access to the crazy rare Tulowitzki and Cueto, but they will have access to Perez and the others. I have seen these go for some really nice inserts. 2. SCR Fired Up – Its easily one of the best looking insert sets in the game, and the collectors out there want these cards for their vault. Hot Now – But look out! Cannons – I was not a big fan of the look of this set and I would guess that once the award comes out these will drop fast. Watch out trading top inserts for them when you know they will be losing steam. 1. Albert Pujols – He is well on his way to a POTW award, and has been scorching hot since the beginning of the season. A beast so far, which hearkens back to the Albert of old. 500 HRs aside. 2. Johnny Cueto – He has had start after start where he looks basically unhittable. I had been chasing his cards all year, and boy am I glad I did. Check back next week for a new Bunt list and updated top 10! This entry was posted in Bunt List Top 10. Bookmark the permalink.